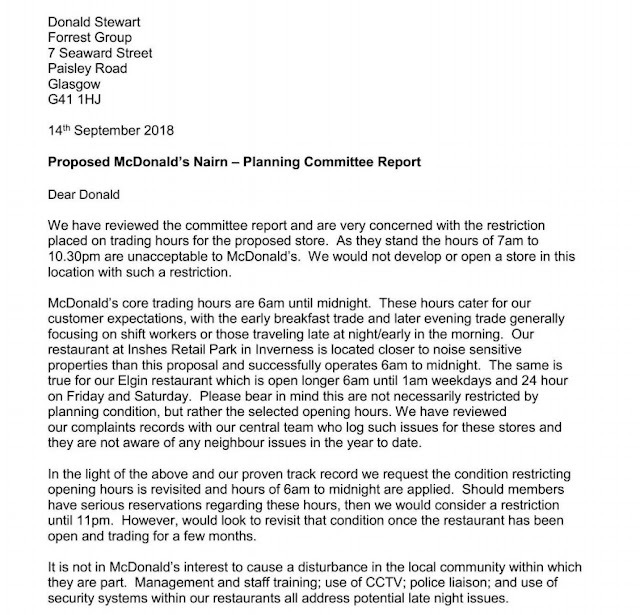 A Gurn from Nurn: McDonalds reconsidering opening a restaurant and drive-thru in Nairn due to trading hours restrictions? 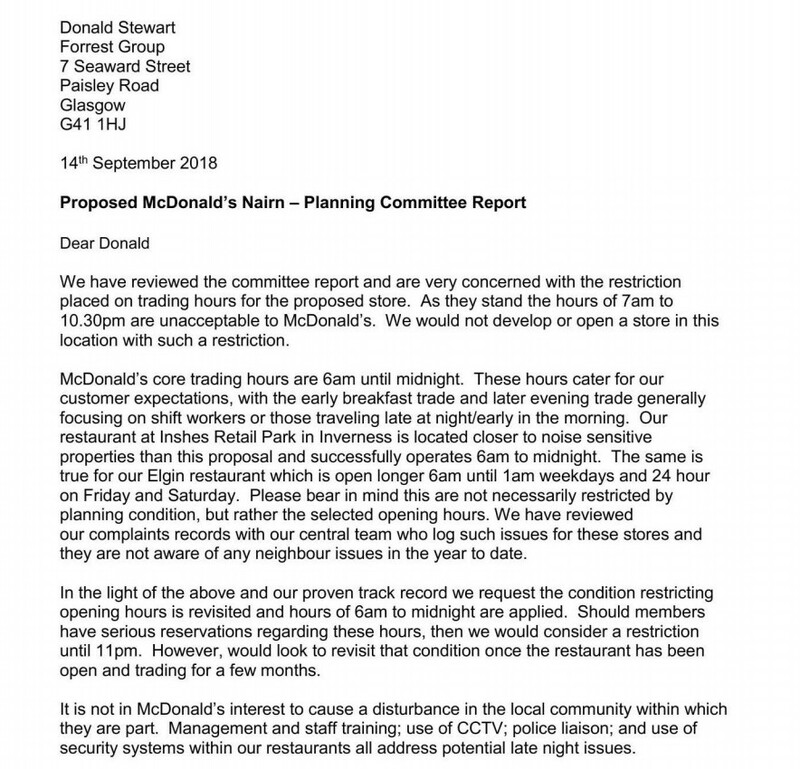 McDonalds reconsidering opening a restaurant and drive-thru in Nairn due to trading hours restrictions? An application has appeared on the Highland Council e-planning pages listing a request for amended opening hours for the proposed McDonalds restaurant and drive-thru. The application is from Sainsbury's but the documents available to the public include a letter from McDonalds (curiously dated 14th September 2018 but received by the Council on the 12th March). Screenshot of letter below - click to enlarge. 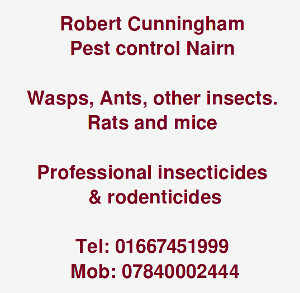 Further details of application here. I remember watching the podcast of the SPAC meeting the day the McDonalds application was being decided. They had a separate vote on the opening hours, and the vote went with the decision to keep the hours in accordance with the restrictions set for Sainsbury's petrol station. The Area Planning Manager at the time was emphatic that the hours must not be outwith the restrictions set due to the residential area close by. Think the letter writer has it slightly wrong. I believe the petrol station starts at 6am and finishes at 10.30. So from there own argument they would only be half an hours short of the 11pm normal time they note. Thin end of the wedge etc. If they think a short time late at night or early in the morning would make this business un profitable then me thinks they need to revisit their cash flow forcasts! This business will make the owners a considerable amount of profit in the hours already past. The original planning application and the relevant debate covered the various points well, I see no need to revisit it. This is all very confusing for a poor old brain! On the Highland Council eplanning site within the above application there is a Decision Notice dated 6th March 2019 and signed by the Area Planning Manager. In the very first paragraph it states under paragraph 1 d) No part of the unit shall be used as a café, restaurant (other than staff café or restaurant). So why do both the first application (18/00906/FUL) and the amended application (19/01124/FUL) mention a restaurant? Also in the first application on 27 Aug 2018 there is an Approved Drawing of the PROPOSED GROUND FLOOR PLAN(DRIVE THRU UNIT which clearly shows a dining area. What am I missing here? By calling it a dining area are they getting round the no restaurant clause? 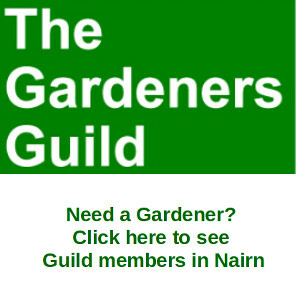 The restrictions on opening hours were set by the Scottish Government and the Reporter. Reason being the close proximity to a residential area. As far as I am concerned, McDonalds can take a hike. The planners need to have some backbone and tell them where to go. Is Argos in breach of the original planning application. Sainsbury's petrol station should be 24 hours. Then McDonald's can adopt a similar trading time. Win win. The old and miserable will be in bed anyway. Anonymous @ 8.37... 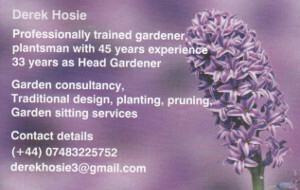 So I take it you are the opposite to old and miserable...young and tedious probably!!! If like me you were a nurse who has to look after obese people post op, then maybe you would not be so keen to have these sort of fast food chains in our locality.